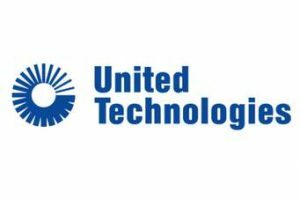 (Reuters) – United Technologies Corp (UTX.N) said on Monday it would separate into three companies consisting of its aerospace, elevators and building divisions, making it the latest industrial conglomerate to pursue such a break-up. The decision follows the completion this month of United Technologies’ $30 billion acquisition of avionics maker Rockwell Collins, which gave enough scale to its aerospace business to be a standalone company. The move is in line with plans of other major industrial companies, such as DowDuPont Inc (DWDP.N), Honeywell International Inc (HON.N) and General Electric Co (GE.N), to shed major divisions, as investors assign more value to the parts of these companies separately than to their sum. Two activist hedge funds, Daniel Loeb’s firm Third Point LLC and William Ackman’s Pershing Square Capital Management LP, had called on United Technologies to pursue a split, and United Technology’s chief executive, Gregory Hayes, had signaled for most of the past year that he was considering the move. “Our decision to separate United Technologies is a pivotal moment in our history and will best position each independent company to drive sustained growth,” Hayes said in a statement. United Technologies shares were up 2.2 percent at $130.81 in extended trading in New York on Monday. With a market capitalization of $102.5 billion, United Technologies is one of the biggest companies ever to pursue a three-way split. United Technologies said it planned to keep the newly acquired Rockwell Collins business, along with its Pratt and Whitney engines unit and aerospace systems. This combine business generated total sales of $39 billion in 2017 on a pro forma basis. United Technologies said it will spin off its Otis elevators and Carrier air-conditioning businesses tax-free to shareholders. Otis reported sales of $12.3 billion last year, while the Carrier unit had revenues of $17.8 billion. Hayes will continue in his current role as United Technologies chairman and CEO after the separation, the company said, with the separation expected to be completed by 2020. United Technologies raised its 2018 sales forecast on Monday to a range of $64.5 billion to $65.0 billion, up from $64.0 billion to $64.5 billion previously, to include the Rockwell Collins acquisition. The company expects 2018 adjusted earnings per share of between $7.10 and $7.20, down from $7.20 and $7.30 earlier.